Point of sale (POS) systems have been a staple of restaurant tech for decades. Used to manage transactions and close out checks, most food service businesses already have dedicated POS systems in place. However, if your restaurant is just getting started (or if your business needs a tech refresh) then it’s time to brush up on the ins and outs of modern POS platforms. 1. What's a POS system? 2. Why choose a customized POS? 3. Why choose an mPOS? Ready to learn more about what new-and-improved POS tech can do for your restaurant? Let’s dive into these top questions! 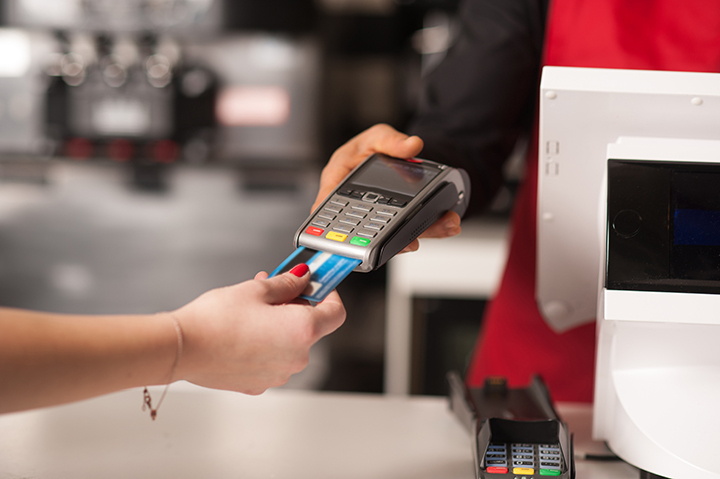 Let’s get right to the basics: the term POS system can refer to any kind of technology that restaurants and businesses use to process transactions. However, a POS system can be so much more than that, especially modern POS platforms that are designed for restaurant use. These days, fully-loaded POS technology can do so much more for your restaurant than processing payments. As you research the right POS system for your restaurant, look for dynamic solutions that offer your team all the tools they need to operate your business. Did you know that your restaurant can opt for a customized POS platform? Instead of trying to make a one-size-fits-all solution work for your business, choose a modern POS that’s completely customizable. First, make sure you choose a system designed for restaurants. Food service businesses have vastly different needs than, for example, retail stores. Invest in a platform designed with restaurant management in mind. Second, pick a solution that’s customized for your specific space in the restaurant industry. There are point of sale platforms for bars, others created for pizza parlors, and even other systems designed just for ice cream shops. Once your system is in place, customize it even further to match the layout of your restaurant, feature images of the food on your menu, and even to give varying access permissions to different members of your team. With modern POS tech, the sky’s the limit with customizable features. Mobile POS (mPOS) systems are becoming more and more popular for restaurants, and it’s no surprise why. These days, restaurants are serving customers in all kinds of locations, from traditional restaurant venues, to roving food trucks, to popup restaurants, and more. For this reason, mobile POS solutions come in handy for modern restaurants like yours. Instead of being limited to processing payments or recording orders using a bulky, fixed POS terminal, choose as mPOS system instead. This way, all you need is a touchscreen tablet and card swiper to keep your business running smoothly. You’ll be able to process tickets and close out bills wherever your customers are, whether that’s on the go or at the table. Think your restaurant’s POS needs an upgrade? Curious about POS systems for your new restaurant? With these basics in mind, your team is ready to find the solution that’s just right for your business. Lavu is a full-featured point of sale and business management system that improves workflow, communication, and organization. Lavu's innovative iPad POS system was created to simplify owning and operating a food and beverage establishment.